Beach Pea ( Vigna marina, FABACEAE ). The pupa is brown with a white coating. 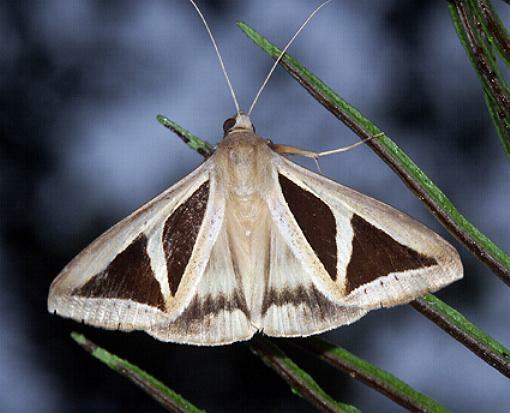 The adult moth has pale brown forewings with large dark brown triangle in the middle. 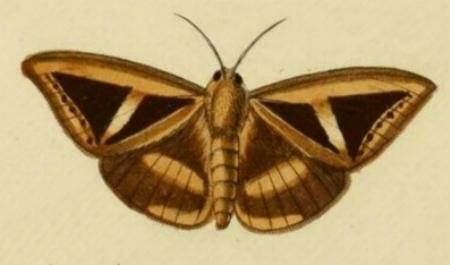 The hindwings are pale brown with a dark submarginal arc of dark marks. 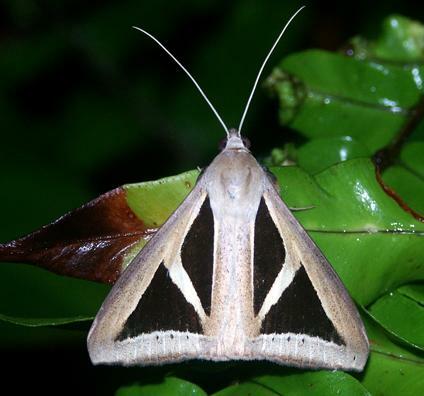 The dark brown triangle on each forewing is transected by a broad pale diagonal band from mid-costa to tornus. 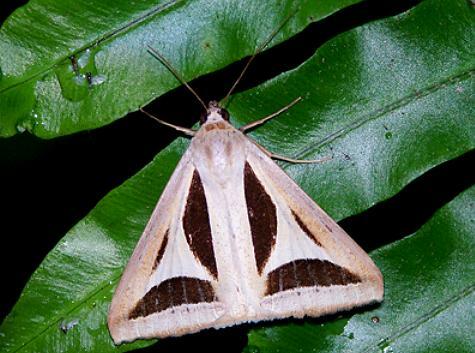 In the female this pale band is enlarged to a pale internal triangle. Melbourne University Press, 1990, Fig 46.4 and p. 452. Amsterdam Baalde, vol. 3 (1782), pp. 59-60, and also Plate 227, fig. C..